There is no careful comparison with competitors, this suggests that the differences from current products are not so large, for example, compared with KYC on crypto-exchanges or KYC at ICOBench. But in any case, such products are very necessary. The more such products, the better the user will receive the solution. Identity Verification is very important in today’s world these guys are doing great work in the space. Full team and possibilty to increase more valuable advisors. The vision is quite interestig specially in front of the history moment. Let's see if the product will interesting too. Team is targeting Asia and partnered with major exchanges in asia. good team and vision, looking for the product. Needs more advisors. Not an easy product to deliver, but interesting project. *Please see my profile for disclosures. I was asked to rate this project by a team member. The team is fundamentally sound, with a good cross-section of skills. Of concern is the overall lack of deep Blockchain experience and some of the key team members don’t have the project on their LinkedIn profiles so it’s tough to gauge commitment. No KYC as yet. The vision is sound and I like the proposed target markets. There is competition in this space and early adopters will gain the most benefit. Focussing in areas away from competition is a good idea. The Whitepaper refers to an MVP that can be downloaded which is good. The technological concept is pretty well understood so I don’t think roll-out will be a huge issue. Customer acquisition will be key. Would lole to see a few more commercial minds engaged. Strong team and leader familiar with and visible in blockchain space. There are similar projects in works so it will be not easy to stand out. Reasonable promotional effect can be noticed. Your link to bitcointalk doesn't lead to your announcement thread. I liked your activity on Medium. Good overall team. Needs Advisors. Good luck and keep your eye on this project. Advisor, IT entrepreneur, information security expert. Ambiguous team (blockchain experience), great idea, interesting to see the MVP. A great product that definitely matches contemporary requirements. KYC is currently too much expensive and the decentralization through Stella BC is potentially a great innovation. Good idea, MVP should be easy deployed. Team and vision are good. However, lot many similar projects already existing in this space like Civic, DID, SelfKey and which are trying to address almost similar problem. Tokenomics are bit dicey as the lock-in period or vesting period for team share is quite short. Very good and promising project with strong team in background. They mentioned Covesting, I worked for Covesting as well, did not find any name I could recognise. Team: As usual, the team is weak. Really, it takes a lot to convince me of a team. In the team, 6-8 are only meant to help the community and digital presence. No legal person the core team, which is a great concern because we all know what advisors are and how legally entangled this project is. Vision: I have heard similar concepts before. Nothing unique. Product: India is a target market and I know how much my data has been abused in India. I am pretty sure I dont want to trust a third party with my data after the adhar debacle. I like the vision, but this is a crowded space and identity verification is hard. On the face of it, the team have some good credentials. A good vision. A solution to a real world problem. Identity projects are becoming quite popular recently. 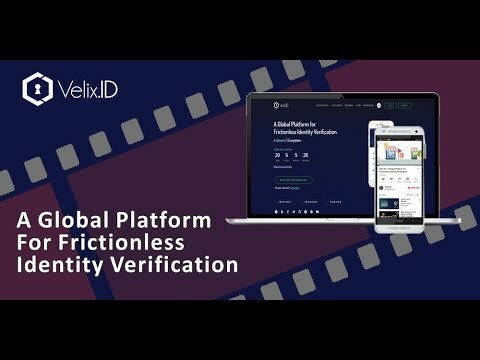 Yet, to the best of my knowledge, no other project tackles the Indian and Australian market, which is good news for VelixID. However, this field is getting crowded quickly so it is up to the team to craft a way to differentiate their project among other identity verification solutions. I have reduced the Team rating when the PR Manager, Vaishali Verma, asked me to upgrade the rating to a 5-5-5 for no apparent reason other than just to have a better score. I think this unethical and unacceptable. Beware! The rating stated above are of my own opinion and is not financial advice. I am not a financial advisor, and this is not a place for the giving or receiving of financial advice, advice concerning investment decisions or tax or legal advice. These ideas and strategies should never be used without first assessing your own personal and financial situation, or without consulting a financial professional. Great looking team and vision. The product is certainly useful in the digital age too!